An Oar Weed forest appears on a low tide . An old path , cut in the rock with a hand rail , descends Carreg Germain to the rocky shore . 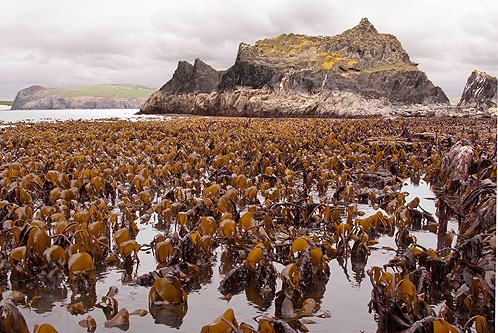 On a very low tide this allows a route to Traeth Samuel and passed Cat Rock to this bay.